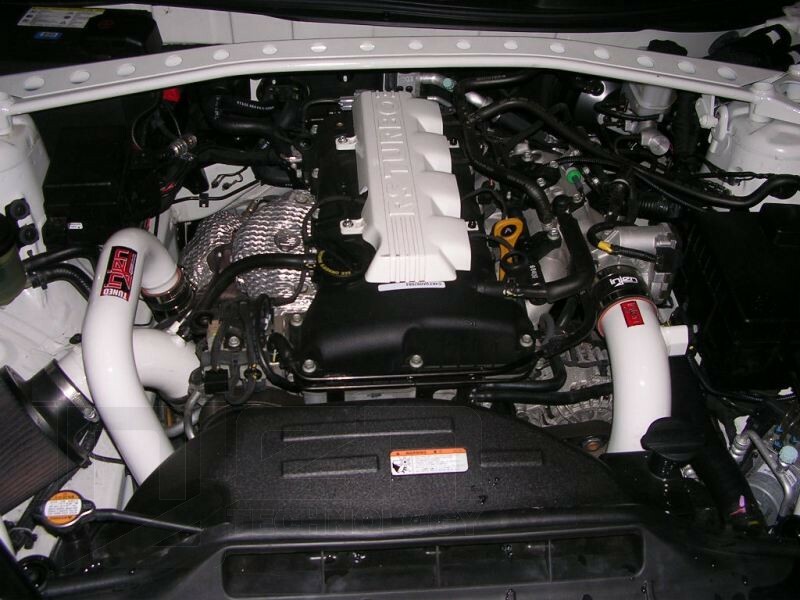 Upgrade the power of the Hyundai Genesis 2.0 Turbo by upgrading the factory intake system to the Injen Intercooler Pipes SES1385ICP P / SES1385ICP BLK. The Injen Intercooler Chargepipes for Hyundai Genesis 2.0 increases power while adding a sporty intake tone. Upgrading the intake system of the Hyundai Genesis 2.0 Turbo is usually one of the first performance modifications made since it's simple to install and produces significant power, but the chargepipes are the 2nd half of the intake system and are just as important. Eliminate boost leaks, increase flow, and do it in style with the Hyundai Genesis Injen aluminum alloy intercooler piping; available in either a high quality polish or sparkle black powder coat finish. No cutting or drilling of factory parts is required, Injen designed this to be an easy install for easy power. Speaking of power, how does dyno proven 9 HP and 11 ft/lbs of torque sound? Includes stainless steel pipes, couplers, and instructions. When paired with an Injen Cold Air Intake, the Injen Chargepipes for Genesis 2.0 produces 9hp and 11lb/ft torque gains. The Injen exhaust not only adds extra performance to your Hyundai Genesis, but will also add extra style to your engine bay. Includes stainless steel pipes, couplers, all the necessary hardware and instructions are included for installation, and is backed by Injen's limited 1-year warranty. !!!! Must be used with an Injen or other aftermarket intake system !!!! Fits Injen FMIC or OEM.